In 2005, Drumheller was hit with a significant flood. 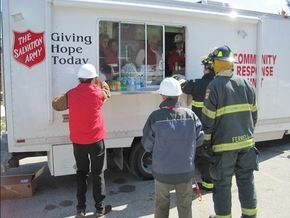 The Salvation Army responded by sending an emergency canteen vehicle and volunteers to help ensure victims and emergency responders by providing meals throughout the day. We also provided clothing and temporary shelter for anyone in dire need. In Alberta The Salvation Army has emergency response vehicles posted in Lethbridge, Calgary, and Edmonton ready to react to any disaster. We have responded to various crisis's all over the province throughout the years providing food, clothing, emergency aid, and shelter relief. The disasters don't have to be 'big' disaster for us to react, a house fire can be enough for us to respond. Throughout the world The Salvation Army has fleets of emergency response equipment and organized teams ready to react because we want to be there when disaster strikes and ensure no one goes without. * We were first to arrive and last to leave when tragedy struck the World Trade Center in New York; we have counselled and comforted grieving relatives of those lost in air disasters at Paris (France), Gander (Newfoundland), Locherbie (Scotland), and at Peggy’s Cove, Nova Scotia; we worked tirelessly during Manitoba’s devastating flood and Eastern Canada’s ice storm, and we assisted with emergency relief operations overseas in Rwanda, Albania, Kosovo, and, of course, in Iraq. * Our emergency response unit from Vancouver supported searchers for a ten-year old girl, abducted in Surrey, BC. When the child was later found murdered, Salvation Army public relations staff helped the family deal with the media, and the officer (pastor) of the local Salvation Army church officiated at the funeral. * We were at Winnipeg’s south perimeter bridge shortly after a double-fatality vehicle crash occurred. 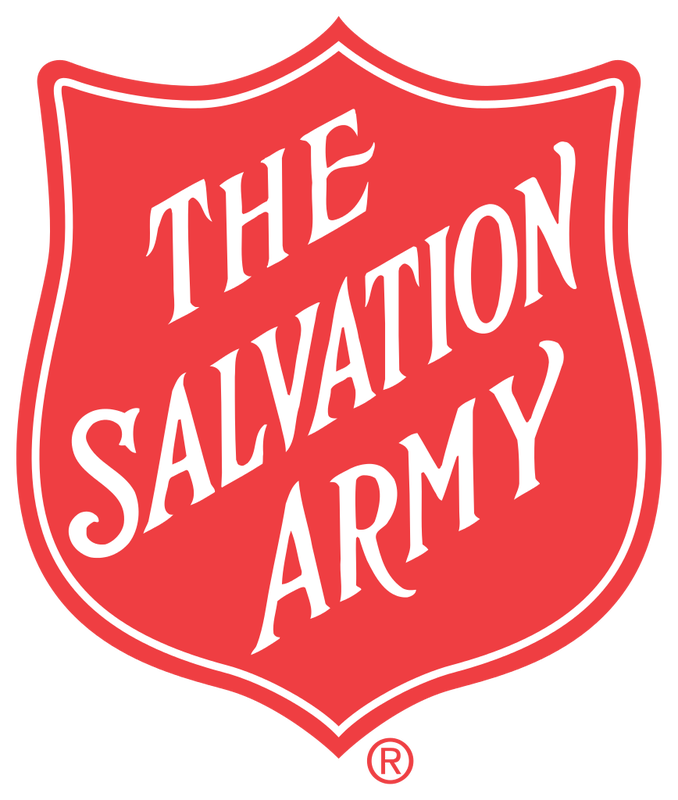 Salvation Army personnel assisted at fires in Vancouver, Winnipeg and Orillia and, in February, our disaster response personnel from Lethbridge, Calgary and Edmonton were on hand to assist people displaced as a result of the train derailment chemical spill at Red Deer. Within hours of a tornado striking the Green Acres Trailer Camp near Pine Lake, Alberta, Salvation Army personnel were on the scene. And at Campbellton, Newfoundland, we were there for six days, ministering to family members and to those searching for the body of a man who accidentally drowned. * Flames engulfed a newly renovated multi-unit dwelling on Ottawa’s Arlington Street, leaving 50 people homeless. In -22° C weather, 60 fire-fighters, their clothing and gloves stiff from frozen spray, battled the blaze for 9 hours before bringing it under control. From start to finish, Salvation Army workers were on the scene, assisting fire-fighters and making its Ottawa Booth Centre a reception area, offering emergency lodging and feeding for those who had lost their homes, and everything they owned, in the blaze. * We provided relief to those left homeless by the fires in the B.C. Interior in 2003, and served the relief workers with mobile feeding stations close to the fire providing meals and refreshments. The Army’s unique, international, quasi-military structure enables it to move quickly into action. Like no other civilian body, it can mobilise officer-personnel, resources, volunteers and financial support from the public at large, and bring them to bear where the need is greatest. And what motivates its humanitarian services? Love for God, allied with a practical concern for the needs of humanity.